← Restaurant Review: Café Tiramisu – Raleigh, N.C. 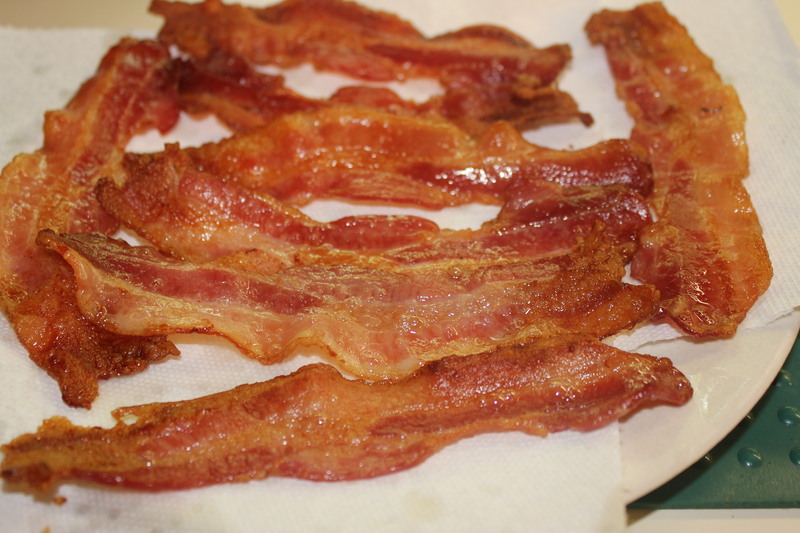 When I’m cooking a big batch of bacon, I find it is much easier to bake it instead of frying it in a skillet or zapping it in a microwave. If you bake it, you don’t have to worry about cleaning up all of the grease that is left behind – not only in the pan but, at least for me, on the stove and the countertops. You don’t even have to worry about constantly turning it until it is done. It cooks evenly and tastes great! 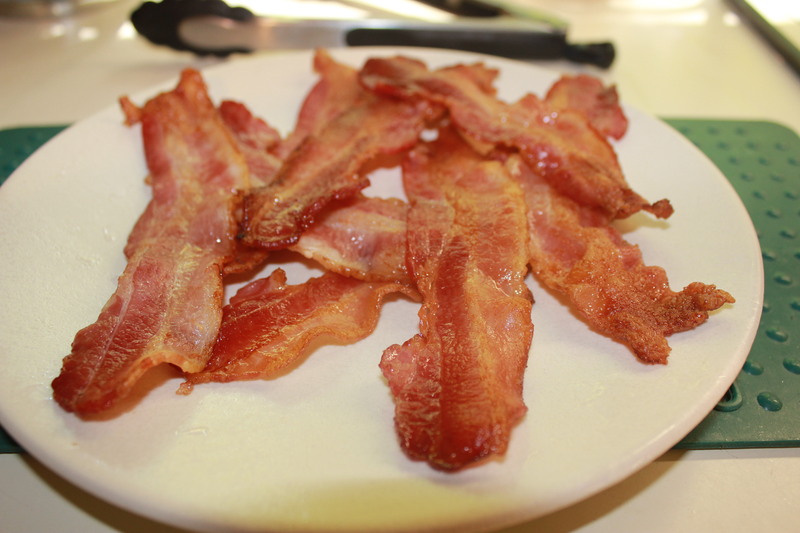 I’m not chained to one particular brand of bacon – as long as it looks good, has a nice amount of lean in each slice and is not about to expire, I tend to buy whatever is on sale. It’s bacon, for goodness sake, so you can’t really go wrong if it’s fresh. However, if you want it nitrate free and cut to your specifications, I recommend buying it from the butcher. Line the bottom of a large broiler pan (with a slotted tray) with aluminum foil. Since the bacon grease will drip through the tray, this allows for super-easy cleanup. 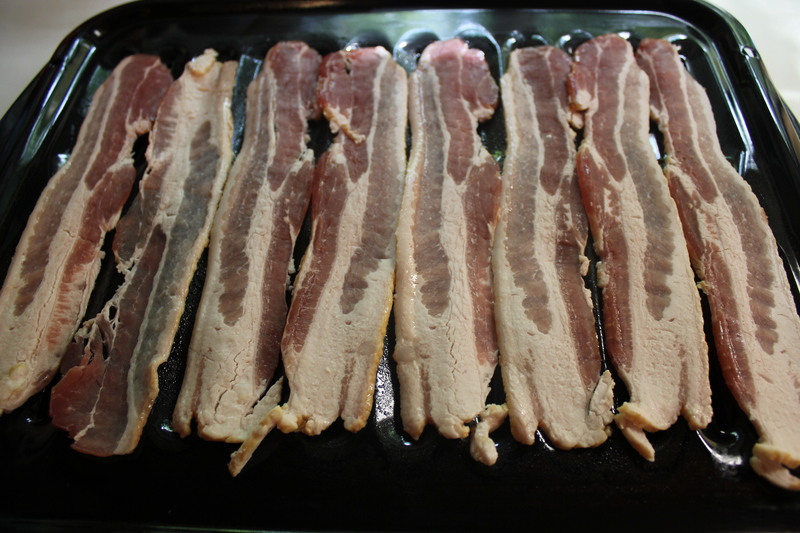 Place the bacon on the tray with the slices right next to each other. I always cook at least 2 extra slices because someone (usually me) is going to eat them before whatever the bacon is going with or on is ready. Bake for 15-20 minutes, until crisp. Make sure you do not overcook as the bacon will become dry. 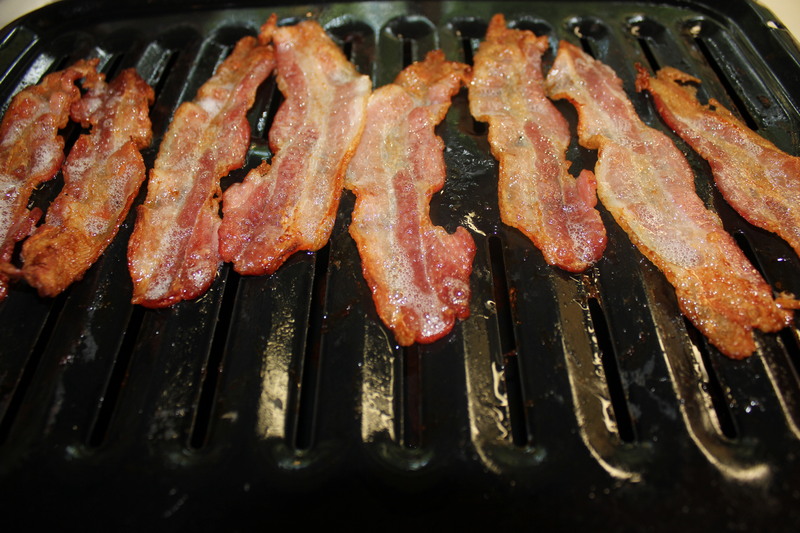 Drain the bacon on paper towels and serve immediately, before other bacon thieves show up! This entry was posted in Meat and Poultry, Tips, Tools of the Trade and tagged baked versus fried bacon, baking bacon, eat drink and be merry, kel's cafe of all things food, Kel's tip of the week, Kelley Chisholm blog, Raleigh food blog. Bookmark the permalink. I frequently bake my bacon and usually do a whole pound at once. I think it gets a melt-in-your mouth texture that you don’t get with frying. You make a great point on the clean-up factor too.